Neko. . Wallpaper and background images in the Neko anime Characters club tagged: neko girl. 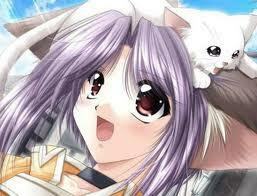 Hope u all like ths pic..
does anyone know where that cat is from?